Lemon cake pie is a pie for cake lovers. 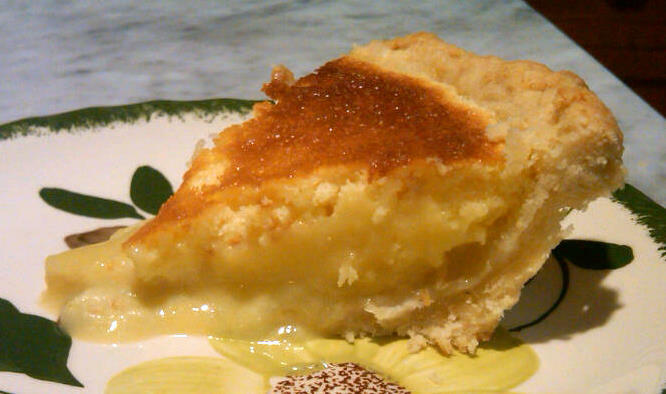 Its traditional pie crust is topped with lemon custard which is topped with a thin layer of lemon cake. This is one of these real kitchen magic recipes: One just pours the batter into an unbaked pie crust and the discrete layers form during baking. 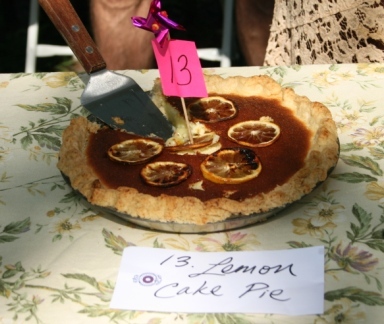 This is a delicious, lemony confection, a true winner or so I thought until -- for the second time this summer -- my pie failed to take a blue ribbon at a pie contest. But I stand by this pie and encourage you to try it at home. 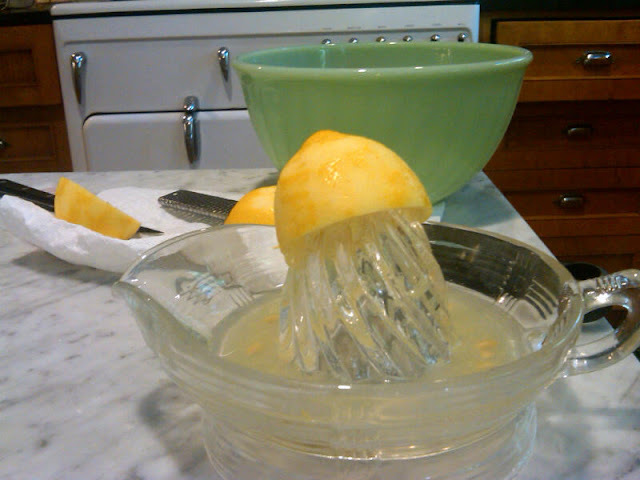 Zest the lemons before juicing, and if you have a pilot light atop your oven, it's the perfect place to melt the butter. 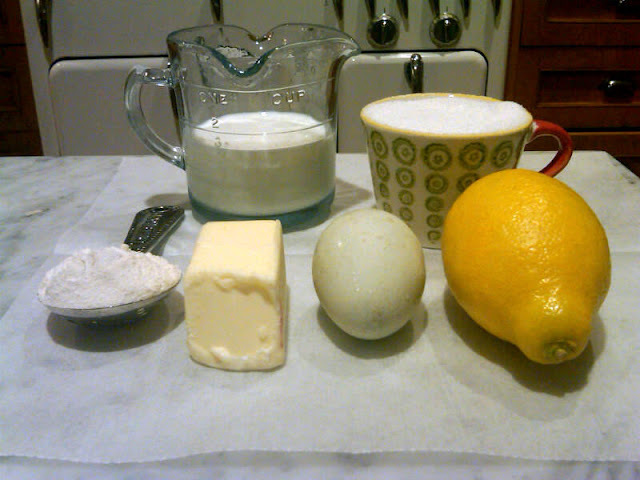 The recipe calls for butter the size of an egg -- I used four tablespoons, or half a stick. 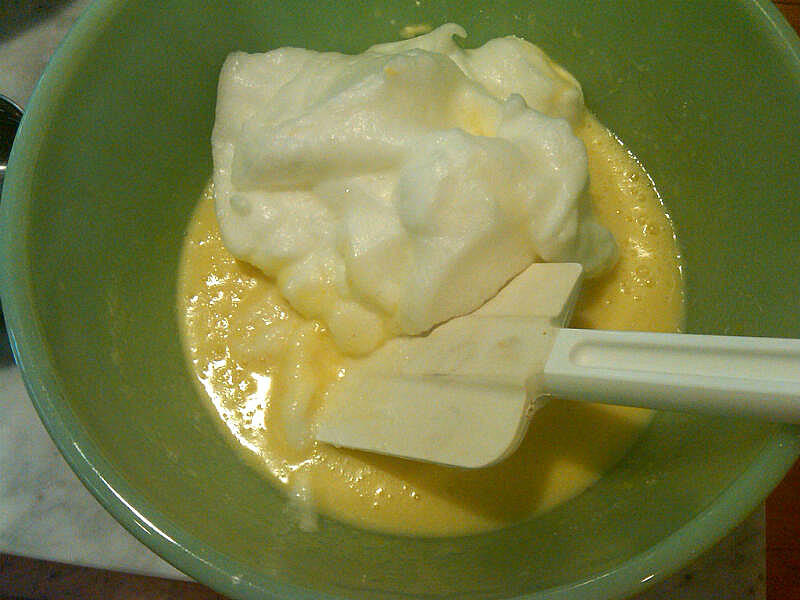 The most complicated part of the recipe (aside from making the pie crust) is beating the whites and yolks separately, then folding the whites into the yolks. 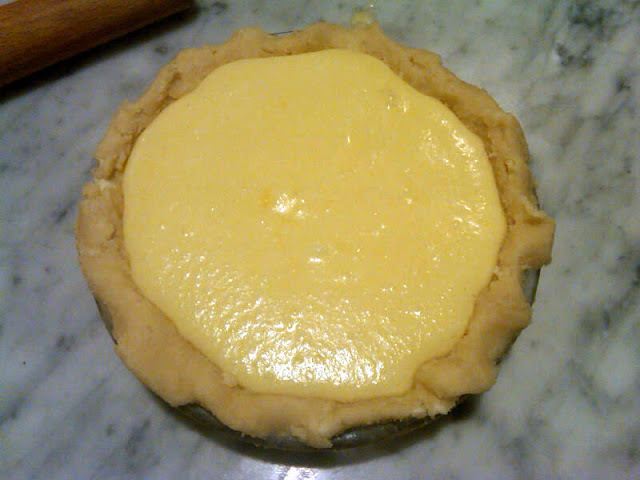 Below is a small lemon cake pie I made as a test before attempting the 9-inch pie for the competition, pictured here because I failed to photograph the larger (and much better looking) version. 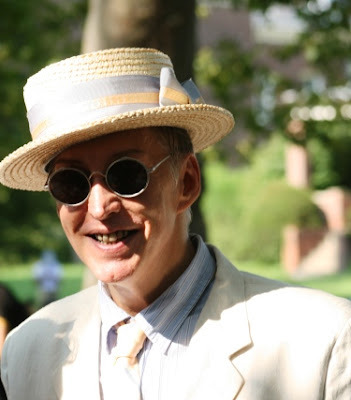 One of the joys of competitive baking is meeting the other contestants and they just don't come more charming than Lee Chappell who made two of the most gorgeous pies I've ever seen (and generously told me the secret to making candied lemons). This photograph below does not do them justice. One is a lemon pie with lavender and the other is a plum pie made with several kinds of heritage plums. He won for his third pie, a strawberry rhubarb. My humble (but really, really good) pie is below. Ah, you're too sweet SugarBeam! Thanks! Made this for my husband and daughter, they absolutly LOVED this! Had my husband take the rest to work and his coworkers raved about it! So glad to hear this news, Anonymous! 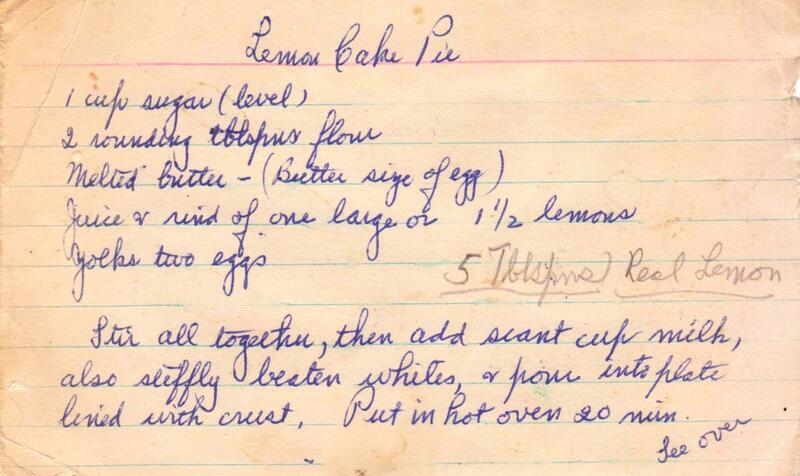 This pie was one of six recipes featured in the March issue of The Ladies Home Journal, so you have very good taste! I just couldn't wait to make this. 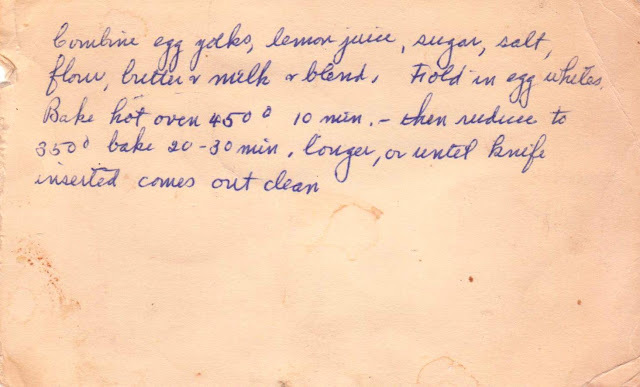 My dad loved lemon cake pudding, which I made for him several times. This would be about the same, only with a crust. I had a friend coming over, so I cheated and got used Mrs.Smiths pie crust and whipped up this recipe. . . or so I thought. I totally forgot the butter. I discovered it in the microwave after the pie was half baked, so I didn't know what to expect!! (I also reduced the sugar.) It turned out delicious and was picture perfect!! 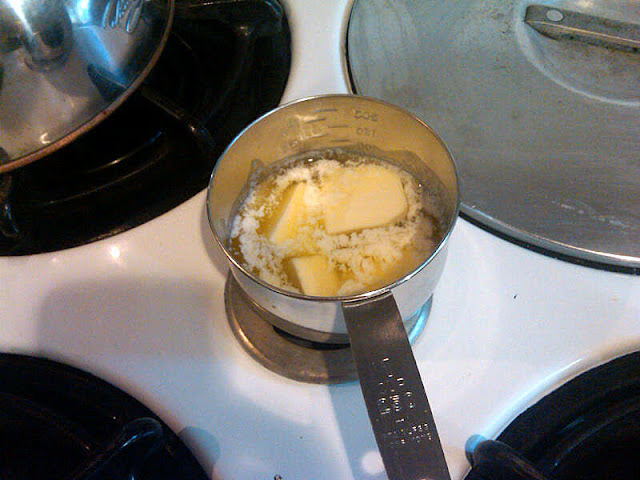 Not sure how the butter would have made any difference, except maybe "richer". My friend had 2 pieces and took a slice home. This will be come a regular. Glad you resurrected it. So glad you made this. I've seen it both ways, with and without the pie crust. And funny about the forgotten butter. Another bit of evidence that baking isn't a science! Thanks for writing!